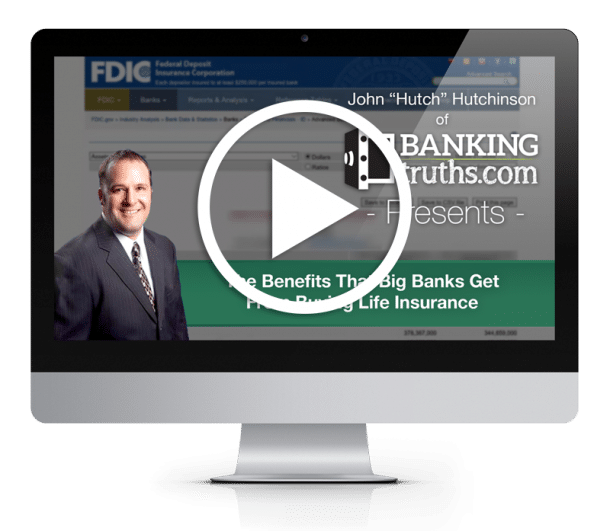 This video explores how Whole Life insurance can be designed to have a range of flexibility. Explore how you can pause overfunding, or stop premiums altogether after 7 years, or continue funding for multiple decades. Click here to see more Videos and Articles on Whole Life. How Flexible Is Whole Life Insurance? Let’s talk about Whole Life and flexibility – normally Whole Life is not known as the flexible policy. But as you can see here in the premium outlay column, there’s quite a bit of variance in how much premium this 50-year-old is paying. By the end of the year, when they turn fifty-one, you can see they put 20000 dollars in and there’s 14000 of cash value. Now the first years are the worst years with Whole Life and everybody knows that. But this is actually the minimum amount of death benefit allowed to pump in 20000 this policy. Now if they want maximum cash performance they could and should pay 20 every year. But let’s face it – circumstances happen in life where maybe you aren’t able to do that. And the blue boxes represent the minimum amount of premium to support this base Whole Life policy and the term rider that allows for the greater contributions of twenty thousand dollars in future years. And the second year in Whole Life isn’t a ton better, especially when you only pay the minimum. So this column over here represents the change in total cash value and all that’s being done is they’re looking at the total cash value and they’re subtracting one side from the other to show you that increase. So you put in 5745 and there’s now 2190 more showing up in cash value. Bringing your total cash value balance from 14 to almost 17000. Now what’s interesting is when you get to year 3, you put in the 5745 even if you’re not able to put in the max 20. And at this point, it’s almost like real estate where the policyholder is cash flow positive. So they’ve put in 5745 and from this point forward the change in total cash value is going to be greater than the premiums paid. So this is almost like how we prefer to tell people, you hit a point in these policies where it’s almost like you’re moving money from one pocket to another pocket. So when you put this third premium in it’s showing up with friends and you can see every year going forward it continues to just get better and better. So even though the third year they really are only able to put 5745 64100 of growth is showing up in the policy or increase rather the fifth year they’re able to put in 20 20000 plus eight hundred is showing up then if they have to back it back down to the minimum. You can see this thing is just getting better and better each and every year and then these last years they’re able to put the 20. These are very robust increases. And we are not even optimizing this for cash value growth because any time after the seventh year, you actually can reduce the death benefit but we’re assuming here that maybe this person needs all the death benefit they can get since they weren’t able to max fund the policy. And so they’re keeping the death benefit and even if they stop paying after year 10. You can see that the between the dividends and the guaranteed cash value they’re still getting pretty nice increases off this and their death benefit is increasing too. So what we’re going to look at here is the exact same policy you can see in year one. It is three hundred sixty-one thousand dollar death benefit like before but it does increase a little more dramatically and that’s mainly because we’re funding it to the maximum allowable limit every single year for the first seven years. And you’ll notice this little footnote over here between year 7 and 8. And this blue box we see right here where the death benefit actually goes down substantially. What’s happening is we’re electing the reduced paid-up option which is allowable with any Whole Life policy. And even though these Whole Life policies are supposed to be paid until age 100 or 99 or whatever it is. What you can do in any year is you can say, “you know what I don’t want to pay time 99 or 100″. But I did pay a little more in sooner. And so just tell me how much Whole Life I have contractually paid up right now and then I don’t want any more mortality drag or mortality charges coming out of this thing. I just want maximum cash value growth, which by the way when you roll your dividends back into the policy and don’t take them as income they buy paid-up additions and then the death benefit starts to grow from there. So you can see in this between year 7 and 8 you take a pretty substantial step back but then it starts growing dramatically because all of these dividends are being rolled back into the policy. The other thing that we can see is between the relationship between the changing cash value and the last year’s total cash value. It’s a really nice ratio. So this is how to get the best performance so if I just divide nine hundred nine thousand one hundred ninety-nine dollars divided by the previous year’s cash value. You can see that we’re getting over 6 percent. Six point one percent. About when we just let the dividends roll back into the policy so that’s a pretty nice return. And the other thing that you should notice earlier on in the policy is the changing cash value. The increases are much more dramatic. And again that’s mainly because we’ve just maxed funding this thing every year. So you could see the year two growth is a little bit better and that’s because you’re max funding. But by the year three you put in 20000, you’re getting more substantial increases. And every year thereafter as well. So I love to say that more and sooner is better. It definitely goes for these policies and you don’t have to stop paying in year seven. This is just kind of the minimum funded scenario that’s optimal for Whole Life we find seven years to be optimal. Truth be told if you wanted to stop paying in year five, you probably could. And you couldn’t do a reduced paid up yet. You can select this option in year five because you may turn the policy into a med but you could use your dividends to pay that base premium of 5745. I believe it was. And if you’re a little light it’ll sacrifice some of your PUAs to go ahead and subsidize this premium. It does put a little drag on the overall performance but it’s not too penal if you just had to stop funding after 5. So let’s see what happens when we want to pay for this policy even longer than the seven years so if we look at this we can see the same policy. Only we’re not dropping the death benefit, right? There are no footnotes and we do run into a new med test. You actually get a new med test every seven years and it looks like we can pay 20000 for one more year but then every year thereafter we’re somewhat limited into how much we can put into the policy. But by doing so we get very robust increases in cash value and the total cash value and total death benefit does balloon up to be pretty nice numbers. So let’s just go back and review and see the different scenarios, let me get my eraser here. Let’s erase all this junk. So if we just look at year 20, this person started at age 50 and there we’re just looking at age 70, so if you max fund for the first looks like eight years well you’re max funding every year but you do have to back off the premiums you would have put in 284000. I don’t like that box, let’s do it again. Let’s hit the eraser here. Come on. So you would have put in 284 thousand. See this is cumulative of premium outlay and total cash value. And at the end of year twenty, you have five hundred twenty-five thousand in cash value 912000 of death benefit. If we just back it down to the seven-year scenario when we reduce paid-up let’s erase all this junk and see what we end up with sorry about this. So in the reduced paid-up scenario if we would have paid 140 we have 320 and 517000 of death benefit. So still pretty nice numbers for a limited pay scenario that we manufacture just by electing the reduce paid-up option and even in the flexible scenario where this person paid for 10 years, let’s hit our eraser get rid of this junk or this person paid for 10 years but then they couldn’t pay any longer they opted not to, even if they didn’t reduce the death benefit. So there’s no reduced paid-up option. But even without doing that you can see they end up with 440000 of death benefit from only putting in 114. And there are still 2 211000 in there so I show clients this, you know we hope that we can fund it longer and harder. But even if you can’t for an asset that is guaranteed to go up every year and not go down and to be liquid even before age 59 and a half and tax efficient and protect your family, this particular policy has chronic illness provisions to where you could tap into some of the death benefit even if you weren’t dead if you had a scenario where you would need long-term care. This is still pretty good even if you had to light fund it. Hopefully, you can do some of the more optimal scenarios but there is a range of flexibility and that’s what I wanted to show you in this video. Click here to have our team model your particular accumulation/distribution path.